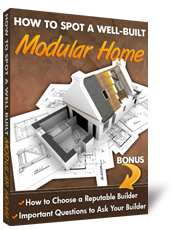 Utah UT Modular Homes: Select your city to find information on modular homes in your area. When trying to select a modular home the first place to start is at the factory level. Get the facts on the factories that deliver to your area. Determining how the factories compare to each other in the areas of: Quality Construction, Design/Style, Appraised Value, Prices and options. 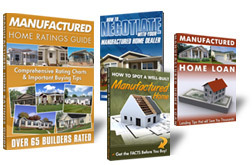 Manufactured Homes industry has made significant gains in recent years regarding quality construction and residential appeal. With todays technology and production techniques, these new homes silence the misconception that manufactured homes are poorly built and don’t measure up. Knowing your financing options is the first step to securing a good deal. 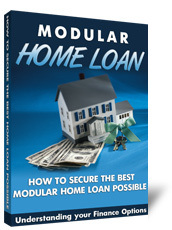 We have spoken with hundreds of modular home lenders and condensed the info you will need here.With it,you can avoid some common mistakes people make when financing their home. On average 80% of homebuyers pay too much for their modular home. 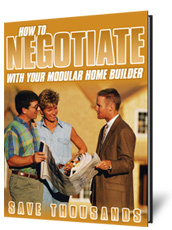 This resource will reveal important negotiating secrets and dealer profit margins that will give you an edge when negotiating with your builder.